D. Sargent c1936 - c1955, J. Wallis, K. Auger 1985 - c1998, S. Jenner c2010 - ? 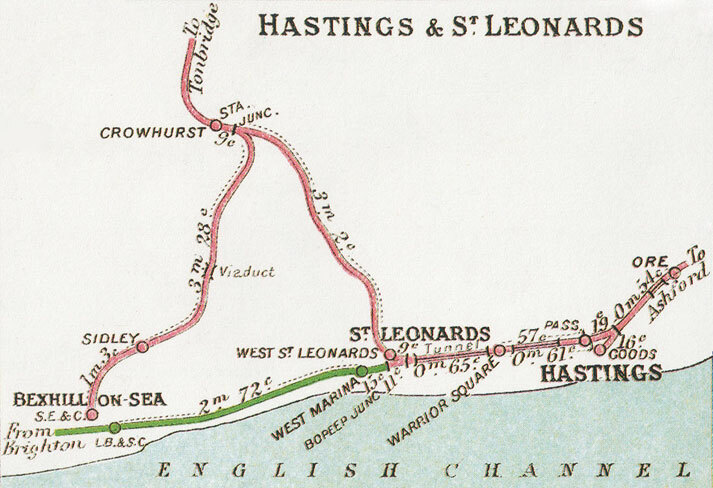 Above is 1908 a map of the Bexhill, St Leonards & Hastings area highlighting how the two railway companies were competing in the same location, the map also shows the locations of all four Motive Power depots within the area. 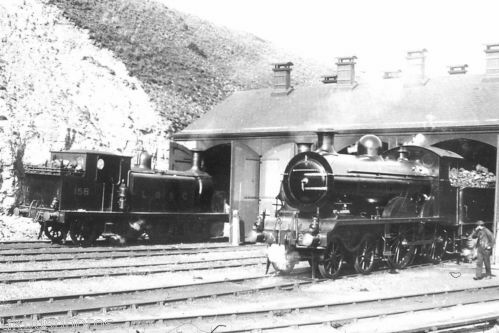 St Leonards Loco shed was opened in November 1845, Hastings Loco Shed on the13th February 1851 and closed in 1929, Bexhill West Loco Shed on the1st June 1902 and closed in1936, and Ore E.M.U.T. depot opening in 1935 and closing in May 1986. 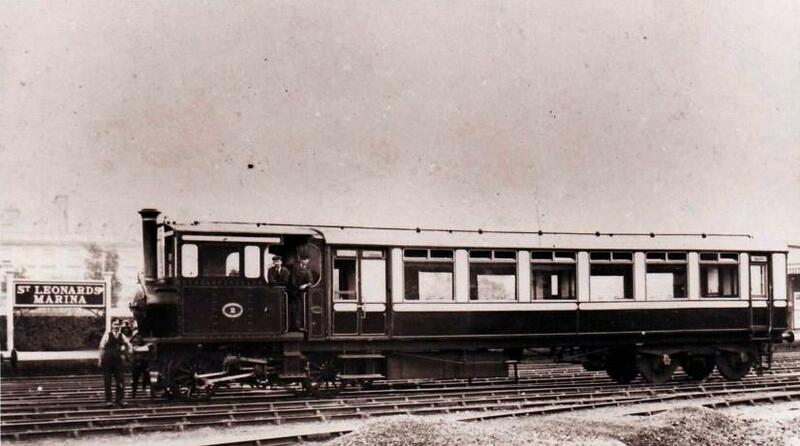 With formation of the Southern Railway, Hastings Loco was amalgamated with St Leonards. With electrification of the Tunbridge Wells to Hastings line in 1986, this saw the closure of Ore depot and the working being moved to St Leonards, and St Leonards drivers working both on the Central & the South Eastern divisions. In the mid 1990s St Leonards drivers depot was closed and moved to Hastings. 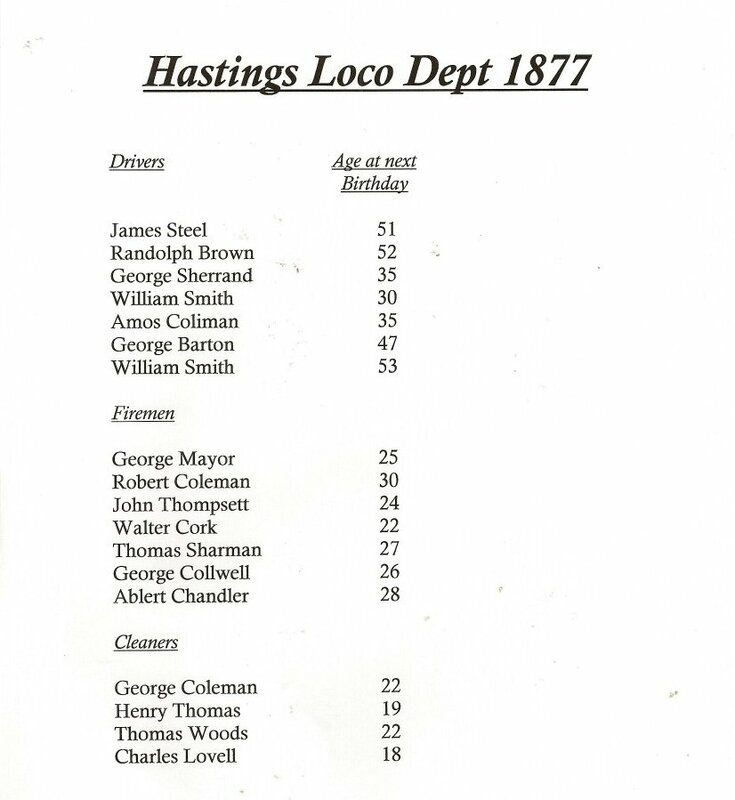 Above is a list of all the engine men that where employed at Hastings (St Leonards) L.B.S.C.R.) 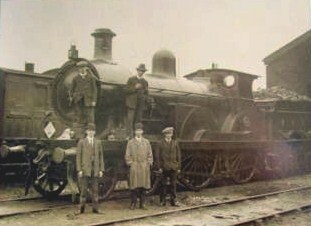 Locomotive Department in 1877. It is not know if this is list was compiled in seniority order or not. However, the list does clearly indicates the difference in the ages of both drivers & fireman at that period of time. A special meeting was held at the Oddfellow’s Arms, on Sunday, December 15th, for the purpose of having a full report of the interviews which our delegates had with our locomotive engineer, Mr. L. Billinton, and board of directors. Brothers Enves, Brighton, and A. Marshall, Eastbourne, gave a full report of all correspondence that had passed and the concessions that were granted. Questions were asked and answered, after which a vote of thanks was passed to the speakers, on the proposition of Brother Croucher, seconded by Brother Nince.